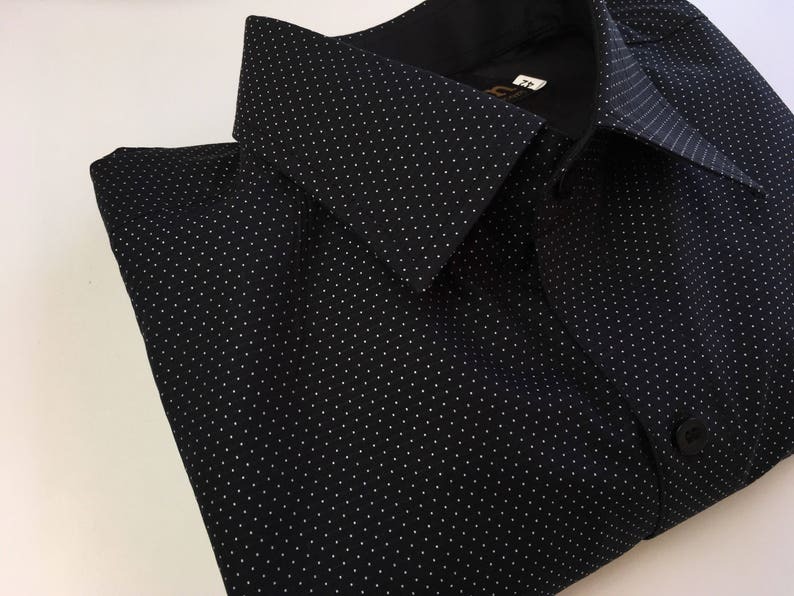 Men's polka dot shirt black base white dots. Woven, no print. Heavy weight quality fabric. Beautifully stitched men's dress shirt. English seam sides and sleeves, anti rip triangle at hem sides, playful detailing with solid block colour collar and cuffs woven polkadots in cotton. Men's shirt black base white red geometric shapes block color inside collar, cuffs. Long sleeves. Super soft 100% Light weight cotton.